Henrik Stenson played one of the greatest final rounds in major championship history to outduel Phil Mickelson and win the 2016 British Open. Open Championship number: This was the 145th time the championship was played. Stenson's final-round 63 tied the tournament and major championship 18-hole scoring record. Stenson's 264 total set a new British Open record and a new all-time men's major championship record for fewest strokes. Stenson's 20-under-par finish tied the all-time major championship record for strokes in relation to par, and broke the British Open record. And Stenson also became the first Swede to win one of the men's majors. It was Mickelson who set Royal Troon afire first, shooting his own 63 in the first round. Stenson carded a 68 in the opening round, then followed that with a 65. Another 68 in the third round gave Stenson a 1-stroke lead over Mickelson, the 2013 British Open winner, heading into the final round. And it was a 2-man race: Stenson and Mickelson began the final day a half-dozen shots in front, and only pulled away. The eventual third-place finisher, J.B.
Holmes, was 11 behind Mickelson and 14 behind Stenson. Stenson and Mickelson battled for most of the last day, exchanging the lead several times early on, spending more time tied. Both played great, hitting fairways, hitting greens, making putts, sinking lots of birdies. Mickelson - who was bogey-free in the final round - birdied the first hole, eagled the fourth and birdied the six. He shot 32 over the front nine. But Stenson recovered from an opening-hole bogey to make birdies on five of the next seven holes and also shot 32 on the front nine. He led Mickelson by one at the turn. When Stenson bogied the 11th, the two were tied again. But Stenson then reeled off three consecutive birdies on Nos. 14-16, taking a 2-stroke lead. 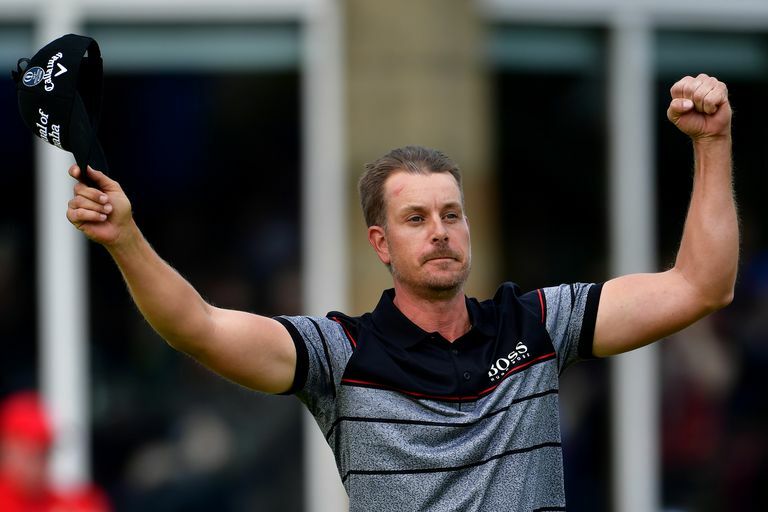 When Stenson birdied the 18th hole, he matched the major scoring record of 63 and secured the tournament and major championship records of 264, beating Mickelson by three. It was only the second time ever at a major that the winner closed with a 63. For Mickelson, a 5-time major winner, it was his 11th career runner-up finish in a major. That was second all-time at this point to Jack Nicklaus' 19 runner-ups. The 72-hole major scoring record that Stenson broke was David Toms' 265 at the 2001 PGA Championship. And who was runner-up in that tournament? Mickelson. This was Stenson's fifth overall victory on the PGA Tour and his 11th on the European Tour.